Central Newfoundland, in my opinion, is one of the most underrated regions in the province. I spent most of my life in the south-central area, in the Coast of Bays. It’s the kind of place where you’ll drive for two hours on the highway without coming across a single sign of life — but the trip is worth it. Again, a rental car is best. Most places shut down for the season from late October to April or May. If you’re unsure about where to start in Central NL, read my blog post about why you need to visit the region. The Coast of Bays is home to Bay D’Espoir, a series of towns scattered around a narrow bay. Conne River is here, the island’s only Mi’kMaq reserve. Every summer there’s a Pow Wow festival worth checking out. I grew up in St. Joseph’s Cove and St. Alban’s. While there isn’t much in the way of tourism infrastructure, a drive around the coast will leave you speechless. Most people head to the Twillingate area, aka “the iceberg capital of the world.” You’ll find a huge number of icebergs coming here every spring and summer, as well as whales. Boat tours will happily take you to greet them all. When the cod food fishery season is on, you gotta let Dave Boyd from Prime Berth take you (or at least visit his epic fishing stage). 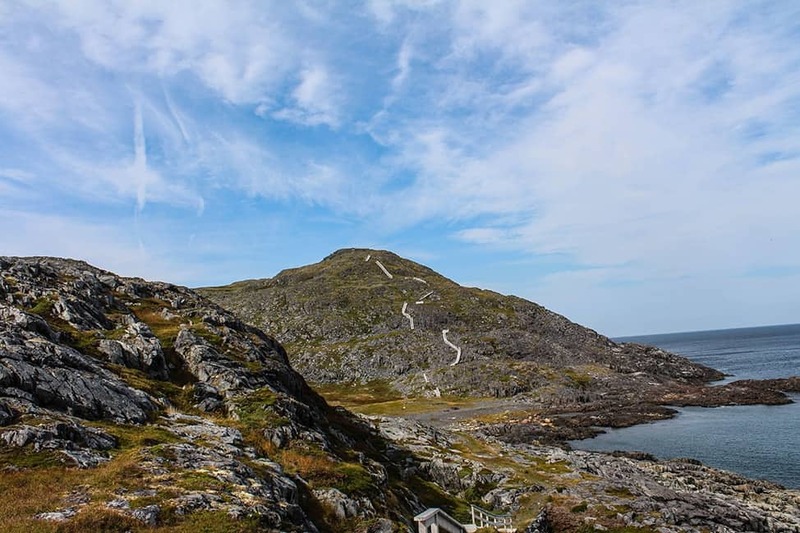 Fogo Island is where you’ll find the famous Fogo Island Inn, an innovative luxury resort in a rugged terrain. It’s also home to some sweet hiking trails, and apparently is the location for one of the four corners of the earth (as dubbed by the Flat Earth Society…who really knows). Then there’s Change Islands, one of my absolute favourite places on the planet. The silence here is palatable; it’s a re-energizing sort of peacefulness that’ll cling to your bones for ages. THere’s not a great deal to do except soak up the atmosphere, hike a few trails, and of course visit the Newfoundland Pony Sanctuary. Read about one of the four corners of the world, or more about Change Islands. If you need inspiration for Twillingate, this is it. Here’s more about the surprising Coast of Bays, and my favourite rafting experience ever, on the Exploits River. Also check out the isolated community of Gaultois.